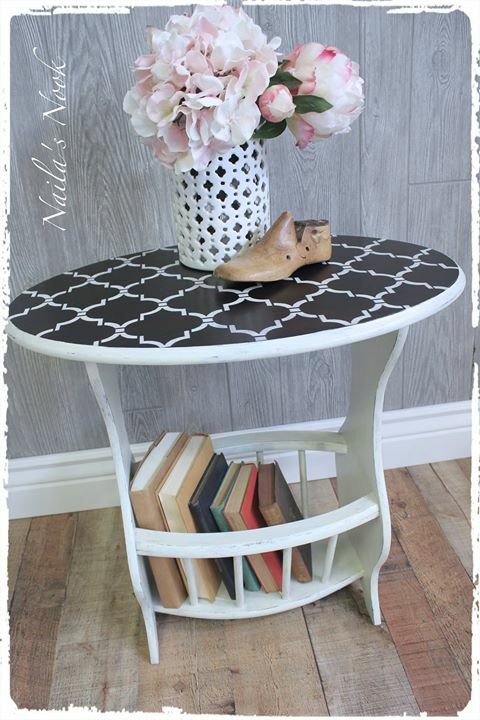 What a charming end table by Naila's Nook this is! They used GF Java Gel Stain for the top, then applied Annie Sloan Old White Chalk Paint with Paris Gray dry-brushed over. General Finishes offers a similar off-white such as this called Antique White Milk Paint.